India is a land full of history, tradition, and culture. Every corner has its own story to tell. These are among the main reasons that tourists from all over the world dream of traveling there. If you’re one of them, then you’re in the right place. We’ll look into the most awesome things to do in India and leave you only with the planning of your trip in mind. India is a country that’s widespread in South Asia. Its diverse terrain consists of both mountains as high as the Himalayas and coastlines like the one of the Indian Ocean. These two completely opposite landscapes are ‘guilty’ of the exciting activities people can do when visiting this amazing place. Thanks to the history, reaching back 5 millennia, India is full of temples and monuments. They’re all unique in their special way, promising an unforgettable journey to the visitors. The palaces, caves and ancient bridges that are waiting to be explored only complete the amazing image of this country. Located in different parts, they’ll take you to another time and introduce you to everything that makes India as mesmerizing as we know it. 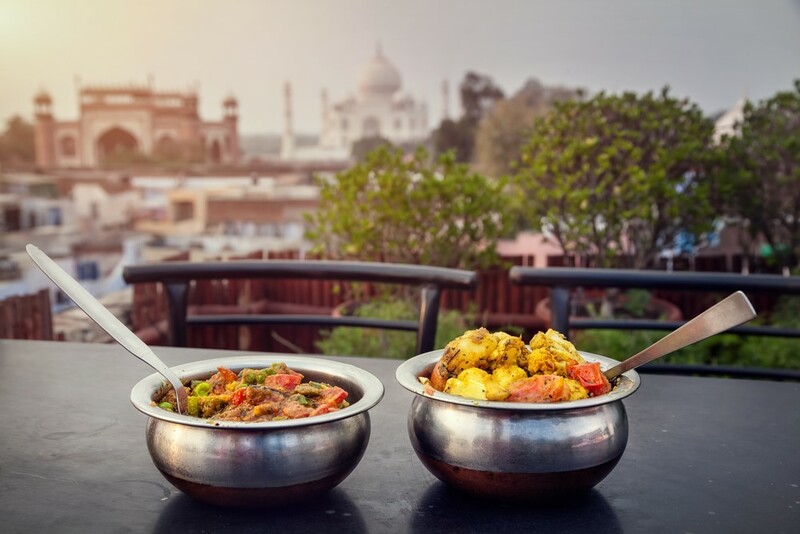 Aside from them, you can embark on an adventure down the narrow streets of Delhi, taste the delicious traditional meals and even go to the beach. You’ll never get bored. Especially because you can take spectacular tours like the ones on an elephant, go on a desert safari, party at one of the festivals or end up in Bollywood. India is a palette of colors, so you’ll easily get carried away in its flavors, scents and people. Are you excited to discover all of that and more in details? For a moment, let go off all your troubles and swiftly take a peek at all the special activities you can do during your stay in India. Immerse yourself in the streets of Delhi – India’s capital is a real melting pot of many cultures. It’s a lovely blend of colors, flavors, and sensations. At the heart of it, it’s Old Delhi. That part of the city is dedicated to all the history and events that this nation has been through. There you’ll find bazaars that look like labyrinths, ancient mosques, fortresses and other historic monuments. 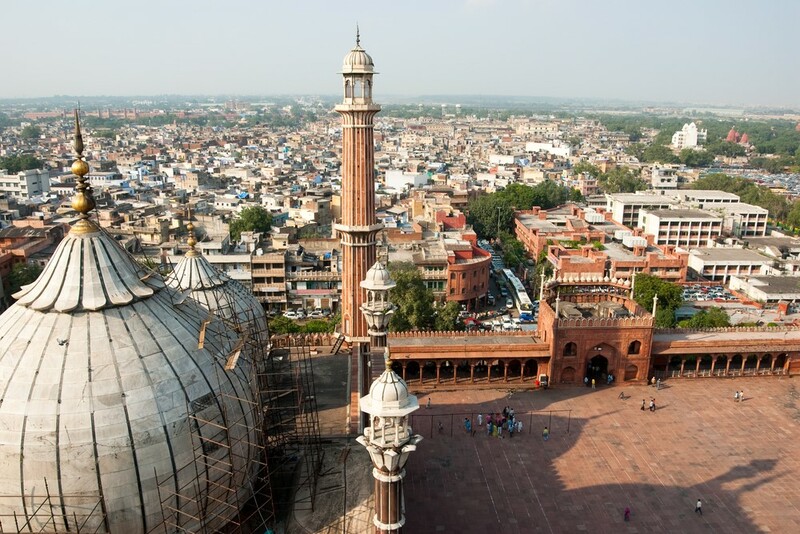 South of Old Delhi, however, lies New Delhi, where everything is state-of-the-art and modern. They’re right when they say that India is where the past meets the present. 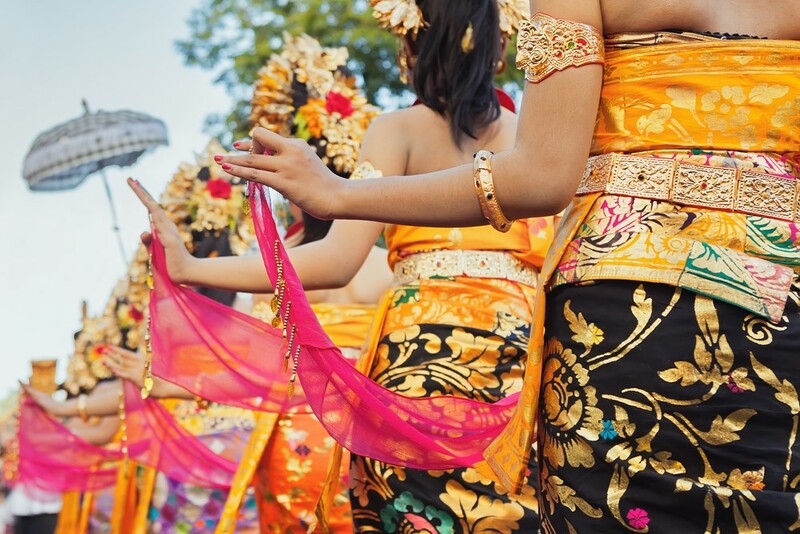 Join the fun at a Hindu festival – One thing India surely doesn’t lack is festivals. All Hinduism deities are celebrated at hundreds of festivals throughout the country. One of the most popular ones is Durga Puja taking place in Calcutta in September or October. Idols in all of the colors of the rainbow are put in pools and rivers. Among other festivals are Diwali (the festival of light in October/November), Holi (the festival of colors in March). India is also the place of the largest human gathering on the planet – Kumbh Mela. Sail on the River Ganges – There’re plenty of things to do India, but only a few can compare to sailing on the Ganges. The river is considered a direct channel to the other world for the 966 million Hindus. 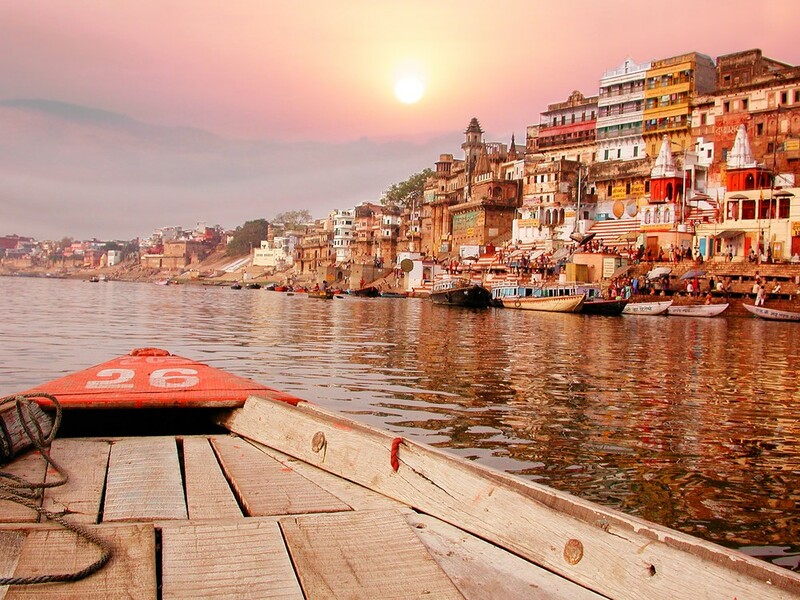 The banks of the river in Varanasi also attract hundreds of pilgrims, making it one of the holiest places on Earth. Several rituals and prayers are performed when the sun rises and sets. Furthermore, you can even spot some Ganges Dolphins, accompanied by a sound of a jackal or celebration. 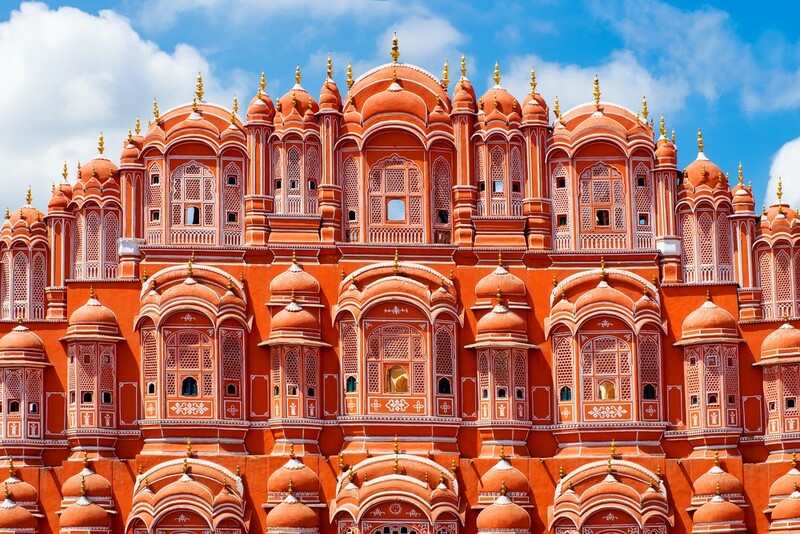 Travel to the Palace of Winds – One of the best samples of Rajput architecture in India is none other than the Palace of Winds or Hawa Mahal in Hindi. The palace was once, in fact, the women’s chambers where they could observe what was going on outside without stopping with their work. Now India has a unique lace-like monument that wows everyone who sees it. Not to mention that it’s a part of the most exciting things to do In India. 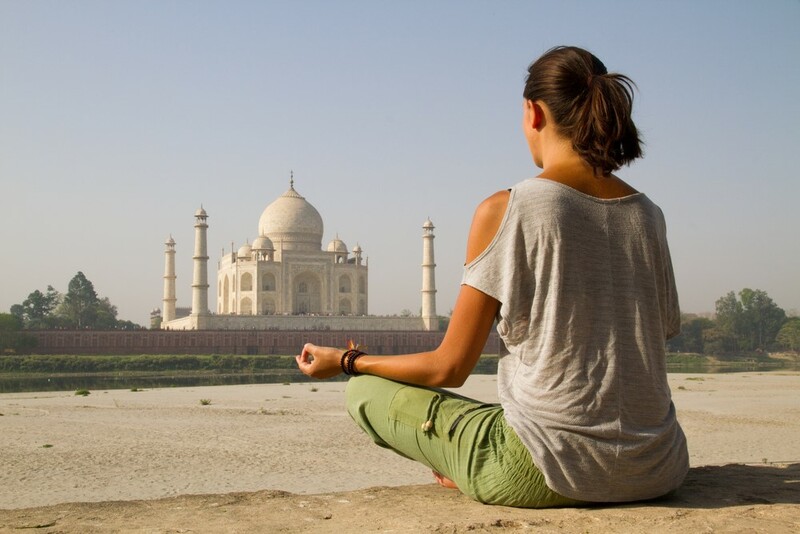 Do yoga – The next on the list of things to do in India is, of course, yoga. In case you didn’t know, India is the birthplace of yoga. So is there a better place to start practicing it (if you haven’t already). You can definitely check out Rishikesh or Haridwar to discover the spiritual source of yoga. What’s more, India offers you a fantastic opportunity to learn the art from the masters that invented it in the first place. 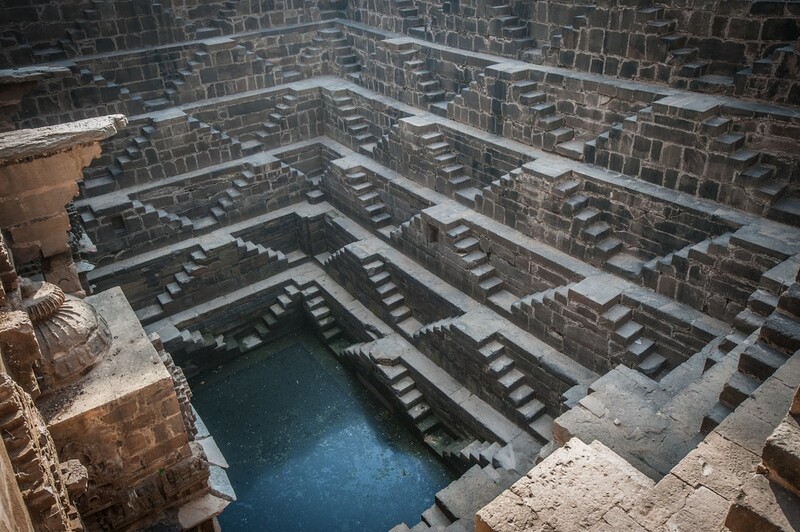 See the ancient stepwells – In the past, the water problem was a serious one in India. That resulted in the construction of these superb and one-of-a-kind monuments. They have an open top with numerous intertwined steps leading to the bottom where the water lies. While climbing down you’d surely feel as if you were transported back in time or just visiting another planet. There are many stepwells of this kind all around India such as Chand Baori in Abhaneri, Rani Ki Ji Baori near Bundi, Adalaj Vav and many, many others. With so many things to do in India, you mustn’t miss this experience. Take a desert safari – India’s desert safari will certainly give you the vibes of One Thousand and One Nights. 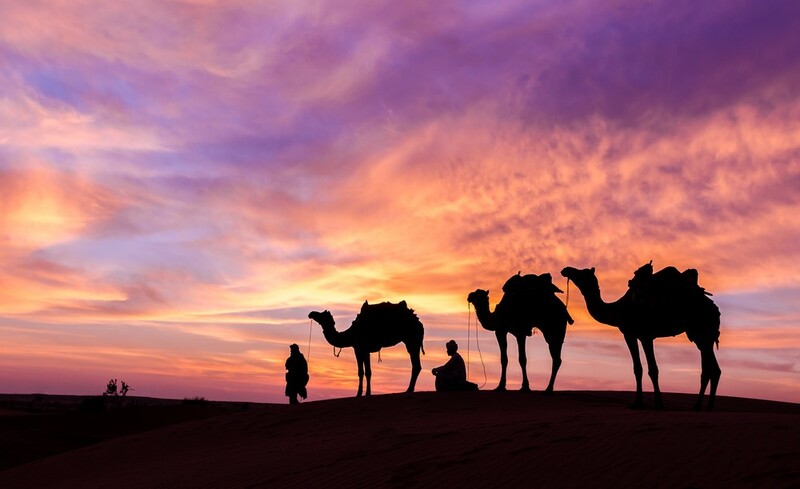 You can climb on a camel in Jaisalmer, the center of the Thar Desert, and embark on a journey across the hot sands. Spending the nights under the stars will make you understand a great deal of the Indian culture. The cities sprawled in the northern part of India are the ones where you can look for this special safari. 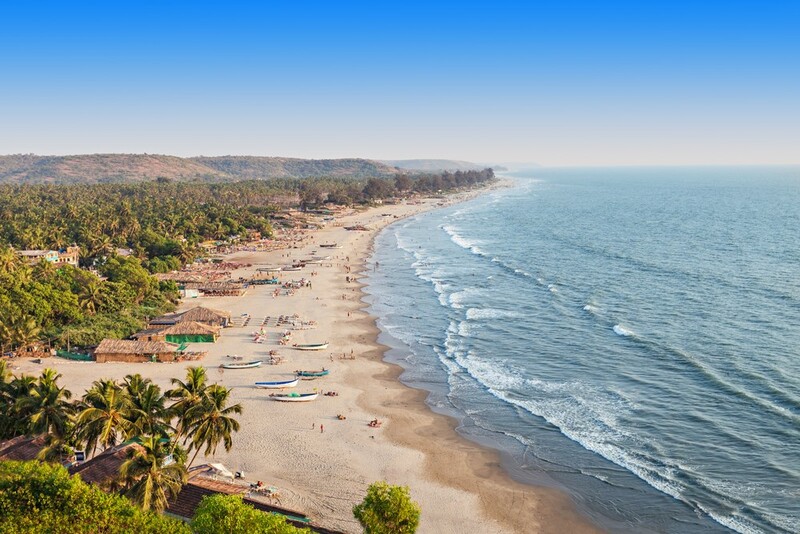 Relax on the beaches in Goa – Throughout the years, Goa’s fabulous beaches have grown into tourist-favorite seaside resorts. Swimming in the cool waters of the Indian Ocean, snorkeling, sunbathing and other activities on the beach are definitely awesome things to do in India. Especially, considering the full moon parties that are held in several places. You can taste the lovely traditional food among other adorable meals, as well. 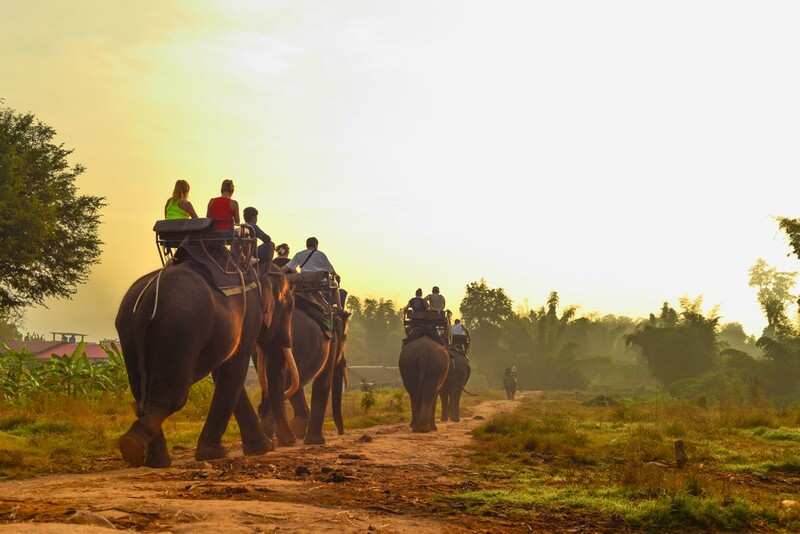 Ride an elephant – One of the most spectacular things to do in India is experiencing an elephant ride tour. They were once used as a means of transportation of kings and royals. And today, you can feel like a king, riding on top of one huge elephant. Traveling by elephants is best for exploring the thickest spots and forests in India. Moreover, the tours are available in the Himalayan Region, the Periyar Wildlife Sanctuary, Rajasthan, Amber Fort, Jaipur and so many others. While on the elephant safari, you should wear clothes that would allow the skin to breathe. Also, make sure that you always have water, goggles, sunscreen and a first aid kit, because you’ll be traveling through deserts and tropical places. 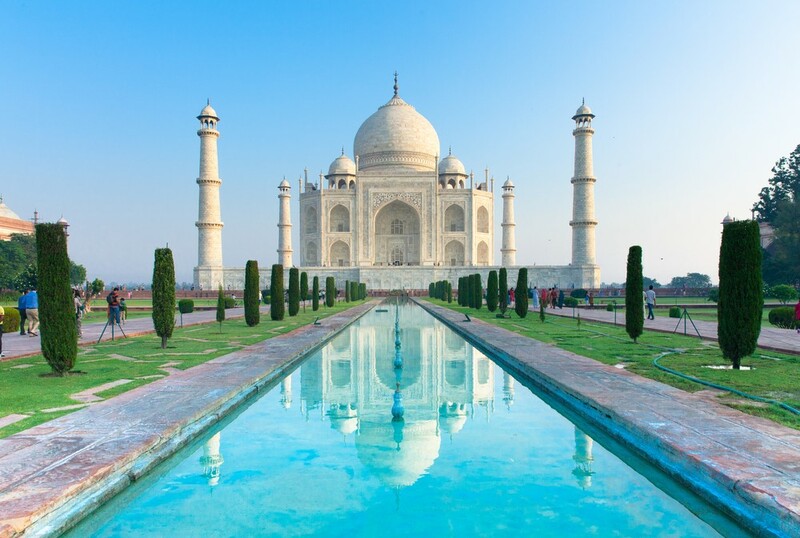 Experience the beauty of the Taj Mahal and other Hindi temples – India is the land of temples. Each region has its own great marvelous temple – from the one in Delhi to the sacred Amritsar’s Golden Temple. When you step on the Hindi soil, you’ll find hundreds of these beauties untouched by nature. 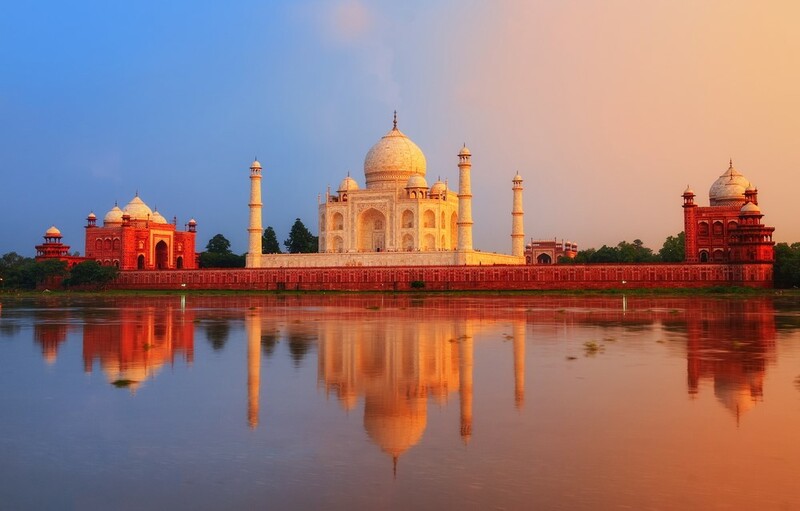 However, the star among them is the Taj Mahal, the symbol of love. It’s probably the monument everyone wants to see when they travel there. It’s often described as the most aesthetically perfect in the world. The walls of shining white marble will remind you of the great love the emperor had towards his favorite wife. Taste the Indian food and spices – Having in mind the diversity in India, you should expect the most incredible food. And you’ll absolutely get that. India is famous for the most extravagant spices which will stun you. Besides them, the people there use a lot of herbs, fruits, and vegetables among other things. What’s interesting is the fact that the cuisine has been influenced by the arrival of the Europeans, the Mughal empire, as well as the Central Asian and Middle Eastern cultures. Some of the traditional meals include dhokla, naan, kulfi, jalebi and so on. They’re definitely things you can do in India for your stomach, which will be eternally grateful to you. Admire the art of Ajanta and Ellora – You can realize what religion means to the people in India when you see the astonishing rock-cut caves Ajanta and Ellora. These two caves are the absolute royals of the religious art and are the finest example of the Indian legacy. 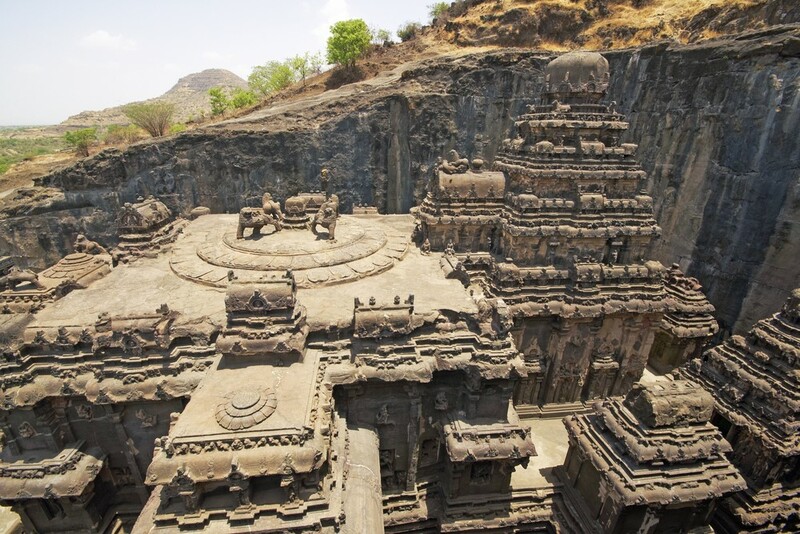 Ajanta may date back from the second century BC whereas Ellora is quite newer. From the fifth to the tenth century, Jain, Buddhist, and Hindu carvers worked tirelessly on it to make it perfect as it is today. You’ll be wowed, for sure. 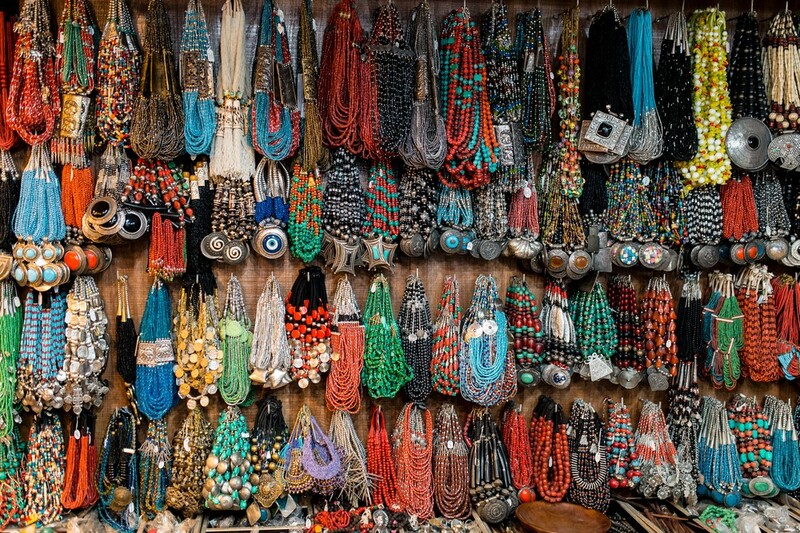 Buy unique souvenirs – One of the most popular things to do in India is, of course, shopping. Bring something back with you from this marvelous country and remember all the moments spent there. Among the top souvenirs, that’ll blow your mind are Tanjore Paintings that’ll remind you of the history and the temples you visited. Then there are the cushions with details embroidered on them as well as necklaces and other interesting jewelry. In most cases, these items are made by the crafty hands of the locals, so you’ll appreciate their beauty even more. 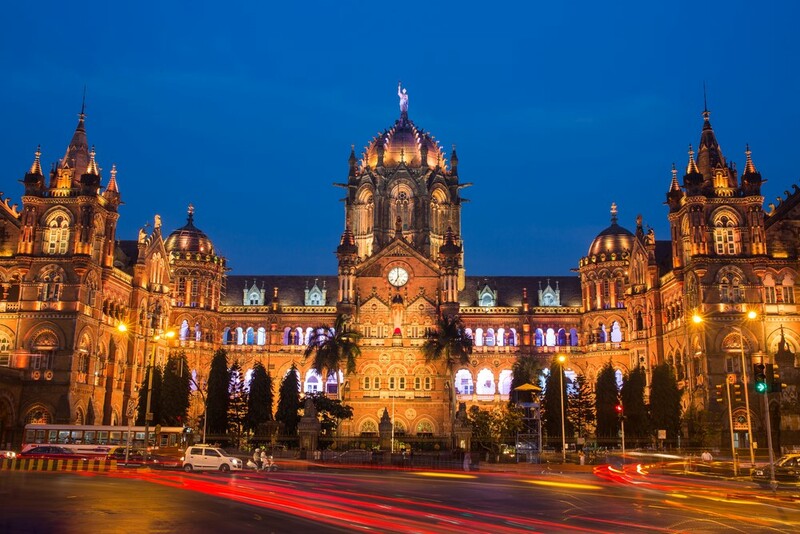 Find Bollywood in Mumbai – The capital city breathes in the rhythm of the busy life with skyscrapers reaching the clouds. It’s the center of fashion, fun, and most interestingly film. Yes. Thanks to Bollywood’s studios, a lot of films are shot there. So, be prepared to laugh and cry at the same time with the most famous characters. You can also book a tour and see how all the scenes in Bollywood are shot. 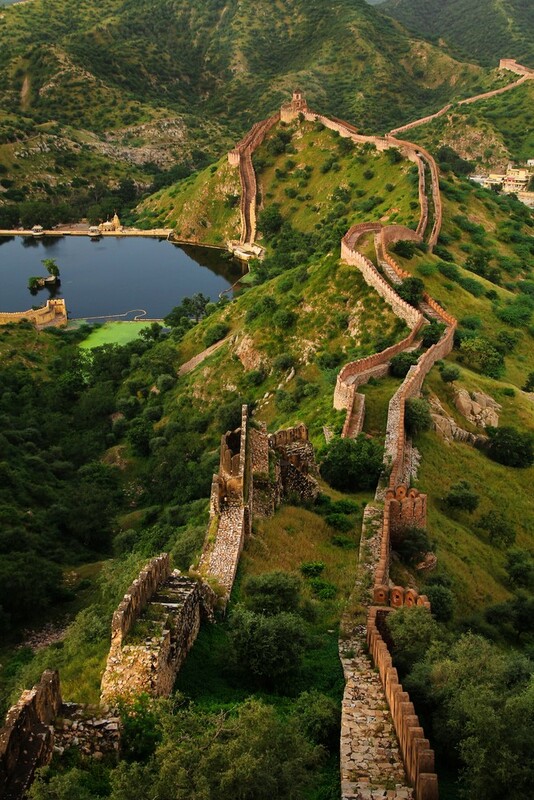 Visit the Great Wall in Rajsamand – Finally, to conclude your journey to India, visit the Great Wall. Located in Rajsamand, it’s a piece of history that’ll change your whole perspective on things. Its high stone walls are one of the best-kept secrets. That makes them even more appealing. The wall protects the Kumbhalgarh Fort, which consists of more than 300 temples. Although the traps put there in the past have been deactivated, step carefully. As magnificent as it is, the Great Wall of India is a remote place with little traffic and ruins that require your full attention. But it’s worth all the trouble.